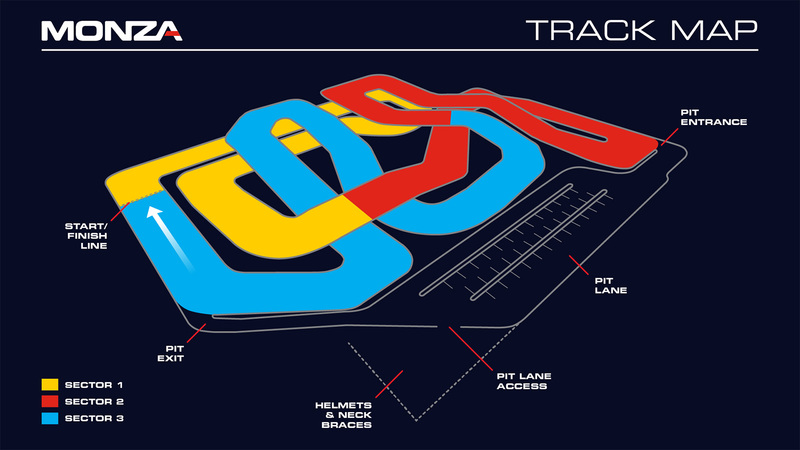 MONZA, owned and operated by On Track Karting, offers advanced, gas-powered karting for Adults (ages 16 & up) and Juniors (ages 10-15) on one of the most dramatic and exhilarating indoor tracks in the world. 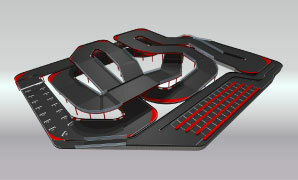 multi-level track features dramatic elevation changes and hairpin turns giving drivers the power and handling necessary for the ultimate high-speed rush. 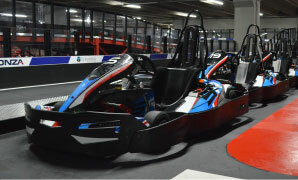 MONZA offers advanced, gas-powered karts running on a long, fast, and challenging indoor track with sophisticated timing & scoring for a true racing experience. 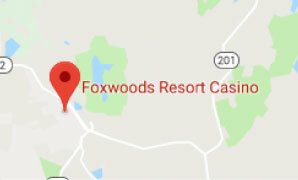 Normally we run approximately 8-minute track sessions (i.e., heats), during which customers attempt to complete as many laps as they can, in what we call “best lap time” mode, meaning we rank all the drivers in the heat by each driver’s fastest lap turned during the heat. Heats are filled based on customer demand and generally alternate between adult karting and junior karting, with a heat going off about every 10 minutes. MONZA’s all-inclusive pricing provides all the necessary safety equipment (helmet, neck brace, head sock, lockers, race suit, and loaner shoes if needed); you just need to bring your A game! Please note all drivers under 18 must have our waiver signed by a parent or legal guardian. Click here to download a copy of our minor waiver. 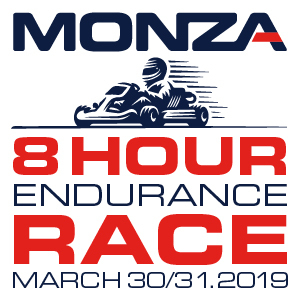 The second MONZA 8-Hour endurance race is coming in March. 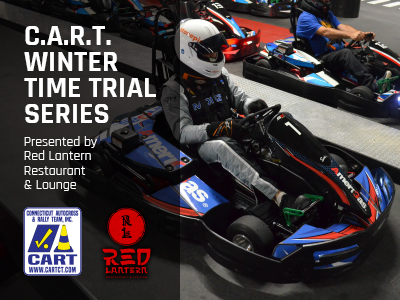 Brought to you by Red Lantern Restaurant & Lounge is a 4-week series of karting events held with 1 event each month. Beginning in January 2019, the time trial series will be held on a Tuesday or Wednesday evening at Monza World Class Karting. Download the MONZA Karting app today for both Apple iOS and Android. Set up your account and get timing and scoring in the palm of your hand. Check out our leaderboards below or click on the Best Times tab to see results by weight class and gender.